Last day of SDCC in Small Press L-08! Lots of things are sold out, and some are about to be sold out, so don’t hesitate to come by and get your geeky goodness! 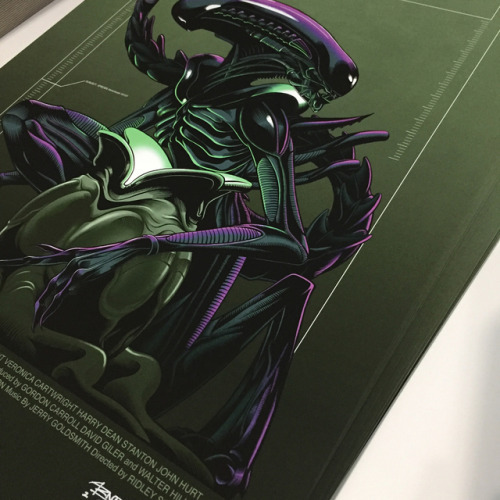 Time lapse of me embellishing my #SDCC Limited Edition Exclusive Prints! I have a handful left, if you want one come to Small Press L-08 before they are all gone! Making tags for my SDCC Exclusives! Sunday is here, and it’s time to do some packing for SDCC. First up, are my Free Daily Stickers! Stickers Assemble! Slide for more pics. These stickers for #SDCC look amazing! Can’t wait for people see them! 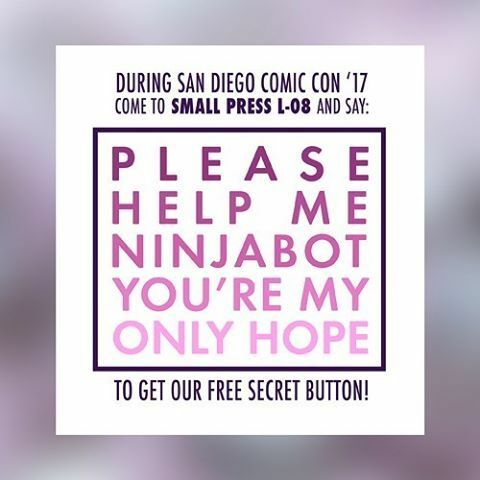 Here is our Free Daily Exclusive Button for SDCC at Small Press L-08! Come and get it! UPDATE: We are running low on our Secret Button, so hurry if you want one! Our Pop Cats Books Vol 1. are getting packed for SDCC. Get this hand numbered Limited Edition book of 500 at Small Press L-08 next weekend. We are bringing this baby back for a limited time only, exclusively to SDCC! 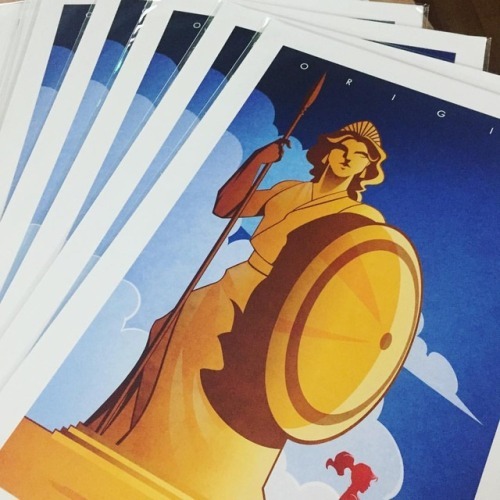 We have a limited run of them in Large and Small prints, and once we sell out that will be done! The only way to get this one is to come to my booth Small Press L-08, don’t hesitate to get this beauty because it will go fast! 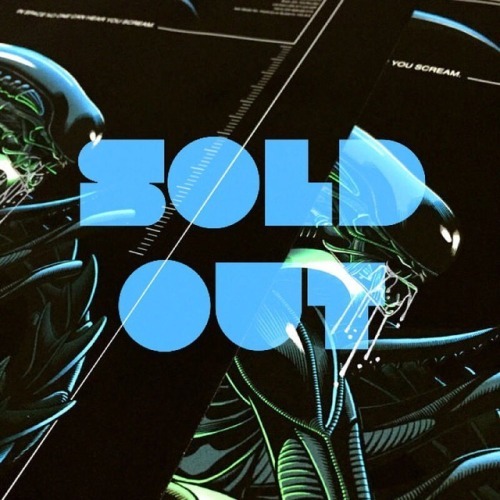 I’m so humbled by all the SDCC Limited Edition of 50, Alien print pre-orders!! You guys are awesome, thank you so much! I’m so glad everyone is enjoying it! If you want a to get a copy of your own before I sell out, pre-order now it at TheNinjabot.com. All pre-orders end July 14! 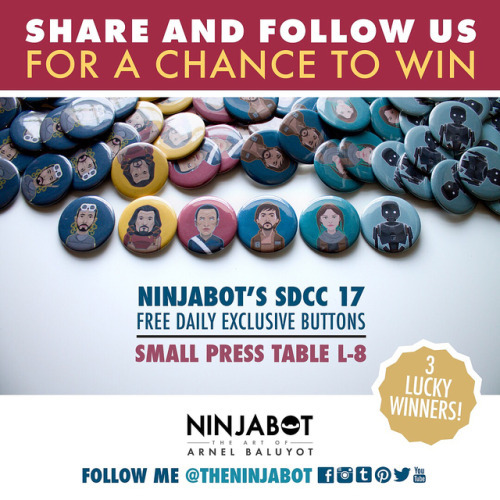 Want free Swag for SDCC? I got you covered everyday! Come to my booth in Small Press L-08 everyday for a different Free Exclusive button! I feel so incredibly flattered at the reception to my @comic_con Exclusive Limited Embellished print. Thank you so much to everyone that pre-ordered it! We still have some regular Limited edition available for pre-order. I can’t wait to show it to you guys in person! Enter my contest everyday to win some of my cool SDCC Exclusives! Share and follow me to enter for a chance to win everyday! Good luck! Want free Swag for SDCC? I got you covered! 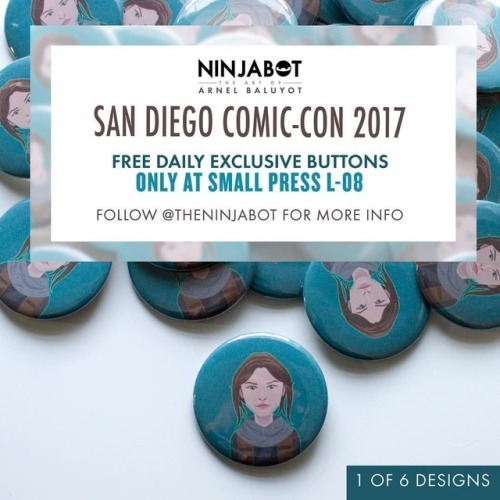 Come to my booth in Small Press L-08 everyday for a different Free Exclusive button!